WalkMe enables website owners and app developers to easily create multiple interactive on-screen Walk-Thru’s that help users to quickly and easily complete even the most complex tasks. Why do developers choose WooCommerce? Why do you like WooCommerce? Why do developers choose WalkMe? 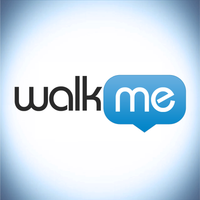 Why do you like WalkMe? What are the cons of using WooCommerce? What are the cons of using WalkMe? 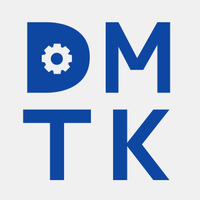 How much does DMTK cost? What tools integrate with WooCommerce? What are some alternatives to WooCommerce, WalkMe, and DMTK? Shopify - Quickly and easily create a beautiful online store with Shopify. How Much Is ‘Digital Fatigue’ Costing You? CBD Oil For Sale is little cells that can be encapsulated subsequently supplements. They entertain more efficiently than pills and powers. They are more innocent than IV injections. They are more gentle almost your digestive system moreover absorbing high doses of supplements. Liposomal delivery brings the faculty of intravenous therapy into convenient oral delivery. Typical absorption of Phytocannabinoid Diol oil is needy, gone then only approximately 10% uptake in the GI tract. Liposomal encapsulation of compounds along with Phytocannabinoid Diol has been shown to accretion absorption five to tenfold. Our high-grade LIPOSOMAL Phytocannabinoid Diol outperforms toting occurring products thanks to smaller, more stable, single-layer spheres made from the highest-grade ingredients manageable. The nice, shiny industry standard of eCommerce, and for a reason. We use it to tie a ribbon on everything you want to sell.